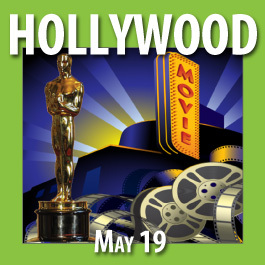 California Pops Orchestra, the country’s only all-request symphony orchestra, wraps up its 30th Season with “Hooray for Hollywood.” Patrons of all ages will recognize famous themes from their favorite movies in this special show. Whether laughing, crying, loving, fighting or riding off into the sunset, the greatest music and memories from Hollywood’s Silver Screen are given center stage in this Pops tribute to movie magic. From swashbuckling adventures and science fiction blockbusters of today, to sweeping romantic epics of yesterday, the California Pops performs the famous works of Hollywood’s finest composers, including Henry Mancini, John Williams and many more.